Awesome experience! Honest, courtesy and reasonable prices. I highly recommend Keith the owner and anyone else working for him to do quality work for me. Keith has installed and maintained my ac/heating unit for several years now and am very happy with his expertise. You can count on this company for all your cooling and heating needs. Thanks Keith. Few appliances are more important than air conditioning systems in a town like Fresno, and what may be a luxury over on the coast is an absolute necessity in the Central Valley, where summer temperatures are scorching. Heating often takes a back seat in our neck of the woods, since the need for air conditioning is so prevalent in the summer, but it's no less important. Winter nights may not be as chilly as they are back east, but they often drop below freezing, and without a reliable heater, your home can feel like an ice box. The dryer vent is one of the subtler parts of the home in terms of functionality, and it’s not a place that most homeowners think of when they think of household maintenance. 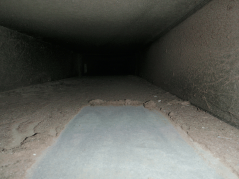 But the amount of lint and other detritus that comes through it has a tendency to back up, and any problems with your dryer vent can lead to big trouble before you know it. 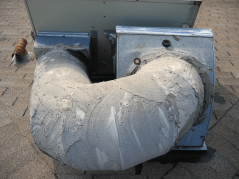 Every HVAC system comes with a basic filter designed to strain out dust and contaminants. But you can go further than that with humidifier, dehumidifiers, electronic air purifiers and similar systems to help keep your household air healthy and clean. Home performance usually translates to energy efficiency: ensuring that your home stays warm in the winter and cool in the summer. That translates to things like attic fans, insulation, ceiling saver kits and similar components. Fresno can get extremely hot in the summertime, as temperatures in the Central Valley soar to around triple digits. Winters are surprisingly chilly too, with the mercury dipping down below freezing many nights. In an environment like that, your heating and air conditioning systems need to perform at their best. It’s more than just a luxury; it’s a matter of your family’s health and safety. At California Indoor Comfort Inc, we pride ourselves on providing the very best heating and air conditioning services in Fresno, CA, from installation to replacement and any trouble spots that crop up in between. Our team is skilled in a wide variety of systems, and our iron-clad guarantee means we won’t rest until the job is down to your complete satisfaction. California Indoor Comfort Inc: where comfort and technology come together! Whether you're looking for air conditioning repair services or are interested in learning your options for the installation of a new high-efficiency system, we're there for you every step of the way. Simply give us a call to schedule air conditioning, heating, duct or home performance services in Fresno, CA and the surrounding area. We also book HVAC appointments online! Installing a new air conditioner is a process, and like any process, a certain level of planning is needed before any final decisions are made.